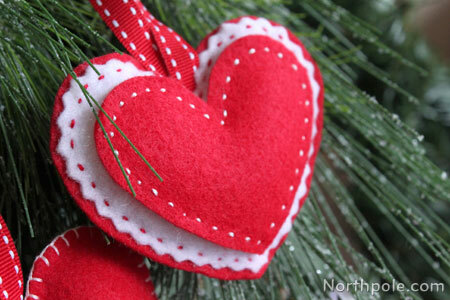 Felt hearts are a common decoration in Nordic countries, and you’ll be brimming with julstämning after making a handful of these wee hearts. 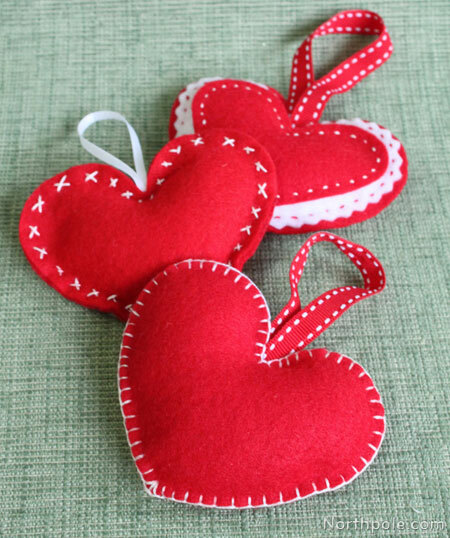 You can hang these puffy, felt hearts on your tree, give several as a gift, or use them to decorate a Christmas package. Trace template pieces onto felt and cut out. 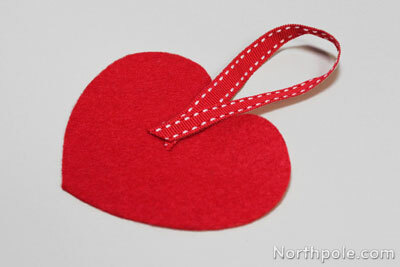 Fold the ribbon in half, and glue the ends onto one heart. Stack pieces together and begin sewing together. After you’ve sewn about 3/4 around the heart, fill with Poly-Fil®. 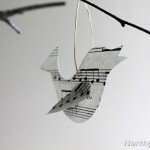 Now your heart ornament is finished! 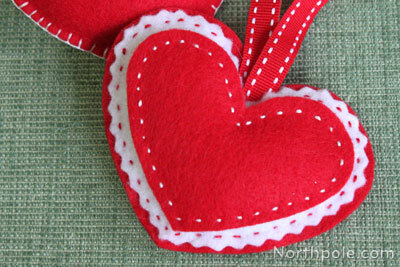 Cut different sized hearts and layer together. First, sew the small heart to the medium heart. 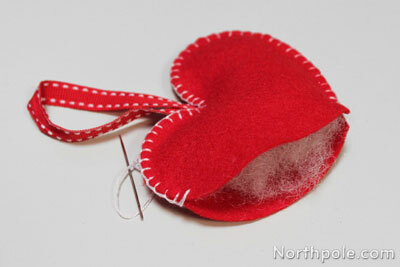 Then sew the medium heart to the large heart. 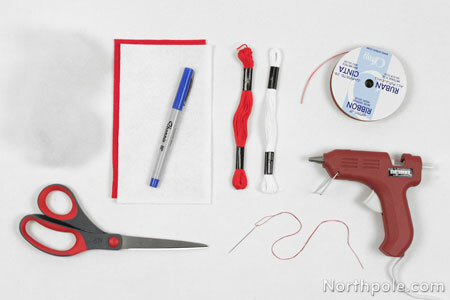 To get the wavy line, use pinking shears or a rotary cutter with a pinking blade. Sew little x’s around the heart. First sew the “/” of each “x” all the way around the heart. 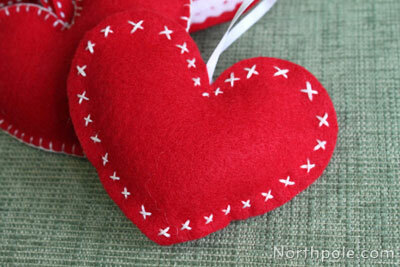 Then sew the “\” of each “x” around the heart. Now you have little x’s!